Can you believe it's already February?! But srs, just think that Christmas was more than a month ago. Wowza! I have been trying and loving all sorts of new products this month and found it so hard to condense them all into one little video, so this one's a pretty chatty one but there's some absolute product gems in my stash this month that I think you kids are gonna love. I honestly can't stop raving about them to anyone who will listen so if you would love to chat some more about them please don't be afraid to leave me a comment or tweet me- I would love to hear about what you're loving too! Also, what's your favourite flavour of ice-cream? Mine's Salted Caramel! I would love to know what products you guys have been loving this month, because I want to try them too- please leave me a comment! 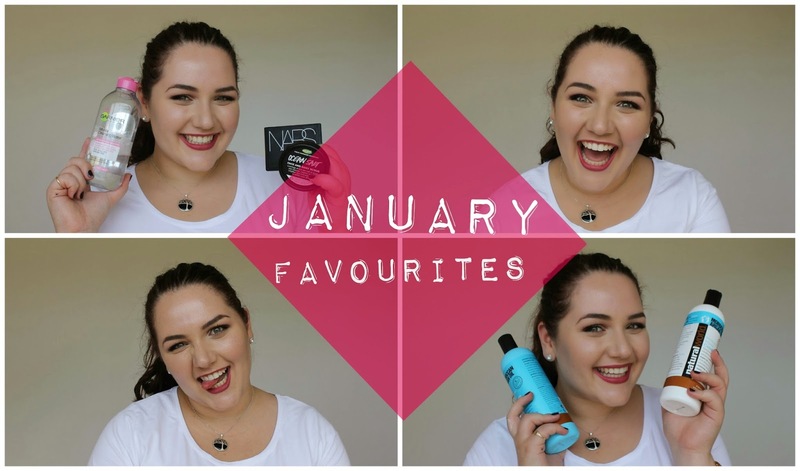 Great favourites! I love both of those mascaras and I've heard so many good reviews about the Garnier micellar cleansing water I need to try it! Ooh, yes do try it - it's actually so amazing! You are just too cute Angelique! I was gifted a teeny tiny tube of So White for Christmas and went through it all in less than a month. It smells absolutely divine and I can't wait to get my hands on a full size bottle! Hehe! It's fantastic isn't it?! When you get round to the full size this year- be sure to use it as a shampoo! You can thank me later! ; ) haha! Ooh, Cookies and Cream was my first love- but then I discovered Salted Caramel! Haha Thanks gorgeous! Thanks lovely! I know I love seeing what products other people have been using so I thought it was the perfect way to end the month! I know, I'm so glad I discovered it- and I think my hair is too! That sounds amazing, I think Salted Caramel is definitely a winner over here! Thank YOU for watching and taking the time to leave a comment!